It's been way too long since my last post! Recently I got the chance to attend a new scrapbooking retreat, hosted by my friend and sideline, Michelle. Despite the water problems, we had a great time at Rustic Ridge Ranch and I got to make 7 new scrappy friends! I spent most of the weekend making cards - see below! I also made one layout featuring my lovely daughter Juliah. I was inspired by Christine Adams to make the clear card (above). I embossed the card with my Cuttlebug and the Spots 'n Dots folder. I think I need a Cuttlebug!! I went to a Christmas party at Rustic Ridge... very nice. It would be a great place for a scrapbook retreat! 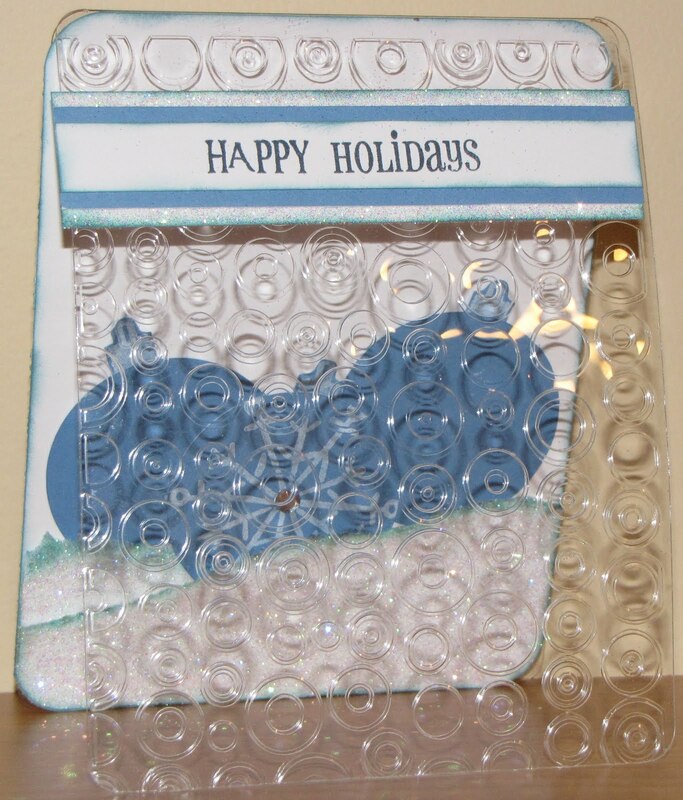 I love embossing on the clear cards... so pretty!